Casino du Lac-Leamy located in Quebec, Canada celebrated its 20th anniversary with a grand gala that was held over the weekend. The casino which was launched in 1996 is built on a former quarry site on the banks of the river Lac Leamy and plays host to over 2.7 million visitors every year, with 1 million of them coming from outside Quebec. The casino had a vast gaming floor and has more than 1,800 slot machines and features around 65 gaming tables that offer patrons a variety of popular games including baccarat, craps, blackjack,Texas hold ’em poker and roulette. 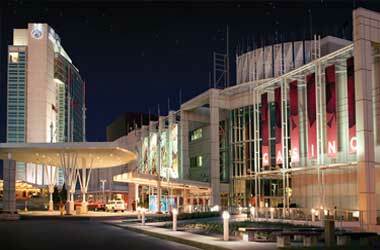 Over the past 20 years, the casino has welcomed over 60 million visitors and has grossed $4.7 billion in revenue. One of the highlights for the casino has been its fine dining restaurant Le Baccara, which has received a five diamond rating from the automobile associations AAA/CAA for 16 years consecutively. The casino registered its biggest winner in 2011 after a gambler won $1.8 million playing on a slot machine. The anniversary celebrations spanned the Easter weekend and kicked off with 4,000 sweet macaroons being distributed to the casino’s customers at its entrance on March 24. Other events included a dice throw game for a chance to win $1 million, a bartending flair show and a Brazilian carnival evening. The casino has been facing challenging times over the past few years as a result of stiff competition and a general downturn in the gaming industry. When the casino commenced operations, there were only 14 other gambling facilities in an 800-kilometre radius but now are over 80 competitors. Marie-Claude Rivet, a spokesperson for the casino said that Casino du Lac-Leamy has concentrated on making sure that its customers have a wide variety of entertainment events and offerings to choose from, which has helped the casino to continue to do well even in the midst of new competition. The casino reported revenue of $228.1 million for the year 2014-2015 and for the current fiscal year it has posted revenue of $180.4 million, an increase of 3.9 percent as compared to revenue in the same period last year.